Imagine you’re a student and you have a chance to help your school win $10,000! 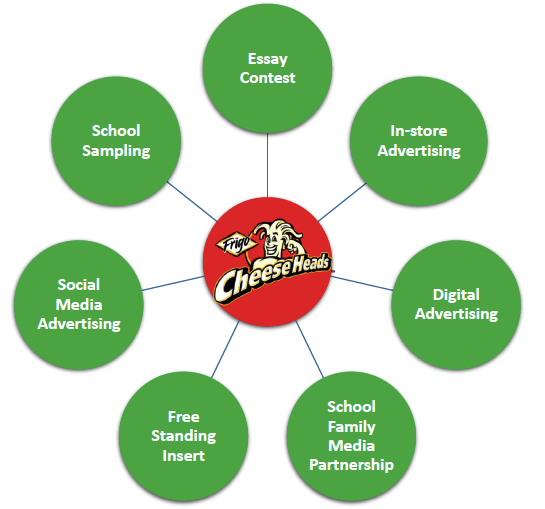 Cheese Heads Brand made it possible when people entered their school in the 4th Annual “Build a Bright Future” essay contest. 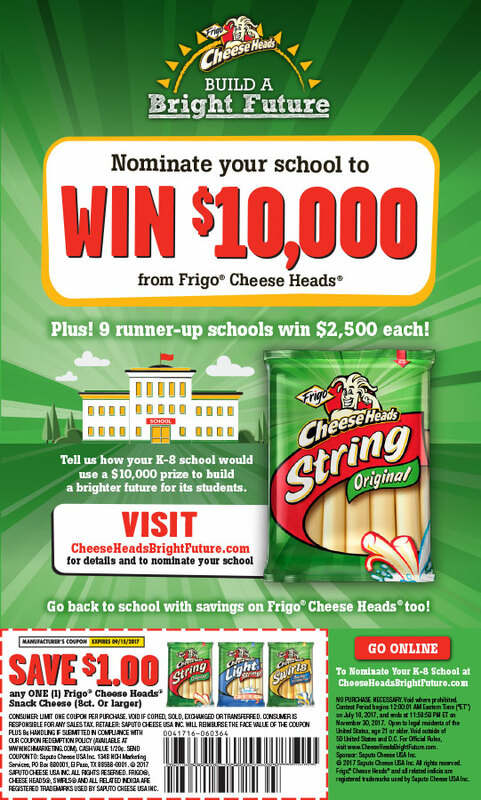 Drive Frigo Cheese Heads brand awareness, trial and loyalty by reaching moms & kids with an education-based program to award schools with cash prizes for a needed school project. As this was the 4th annual execution of the program, we had a great sense for what school kids love during snack time… Frigo Cheese Heads string cheese! But for this go around, we partnered with School Family Media to better understand how best to help various PTOs and PTAs. This allowed us to tailor the program messaging to focus on key wants and needs that have been unaffordable for certain schools. Nominated your school by submitting a 50-200 word essay explaining how your school would use a $10,000 prize to create a bright future for your students, at CheeseHeadsBrightFuture.com. Judges reviewed all entries and selected 10 Finalists. The Public voted to determine the winning school, and all winners were announced in December. 11 schools across the country benefited from a total of over $30,000 in awards to help their students "build a bright future." © 2019 HANGAR12. All rights reserved. Want Marketing Tips? Subscribe to our blog, ConsumerTalk.